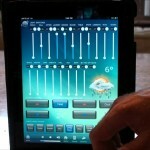 With so many advancements in technology, everything seems to be at your fingertips. A lot of people, particularly those with fast-paced lives, are reaping the benefits of these technological developments. One of those new age innovations is modern temperature control solutions. As most people these days have fast-paced lives, temperature control seems to be one of the most neglected aspects of homes and businesses. It is not an unusual scenario wherein people forget to adjust the thermostat in their homes and offices. It is quite inconvenient to come home to a house that is either too hot or too cold. Household temperature normally takes a while to increase or decrease after you adjust the controls. But with modern home automation and temperature control, you can conveniently adjust the thermostat of your home even before you actually head home. Also remember that different areas of the house have different needs as well, particularly in terms of temperature. What may be comfortably cool to one member of the family may be still a bit warm to another. And as heat rises up, the first floor of the house tends to become cooler, while the second floor becomes hot. This is why you need quality temperature control systems. Each part of your home has its own heating and cooling needs. 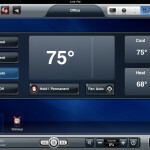 It is essential to choose a control system that eliminates cold and hot spots from your home. This will enhance comfort throughout your house, regardless of its size and design. And comfort should always be a priority. There are many temperature control systems that are available in the market. You can also ask help from qualified contractors to install the suitable system for your needs. 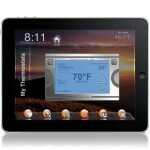 There are plenty of programmable thermostats wherein you can easily set and monitor your home temperature. Modern systems can automatically adjust the temperature inside your house by either lowering the temperature or shutting down the air conditioning units. Another benefit of getting a modern temperature control system is that it helps save energy. Tailoring your energy use to your family’s lifestyle will save you a lot of money. The U.S. Department of Energy revealed that programmable thermostat strategy can help save up to 30 percent on your energy bills. And apparently, with today’s tough economy, savings from utilities are quite essential. Reduced utility costs allow people to enjoy their money in other areas of their lives. A lot of manufacturing and operational businesses are using temperature control solutions. Some of the common industries that reap the benefits of maintaining such proficient systems are food and beverages, plastic extrusion, packaging, and healthcare industry. The food and beverage industry requires stable temperature to carry out processes like blending, brewing, cooking and baking in ovens. The plastics industry is likewise heavily dependent on temperature control and monitoring. Many instruments in this field such as the chillers, molding and extruding equipment, hoppers and dryers require stable temperature to complete the plastic production process. Moreover, the packaging industry takes advantage of modern temperature control solutions with machineries that require longer processing time. Seal bars, hot melt functions, glue applicator, and label applications need steady temperature controlling and monitoring for better product output. Healthcare industry relies on temperature controllers as well for accuracy of its machines and functions such as test equipment, laboratory, incubators, crystallization-growing chambers, refrigerators and more. Sustaining accurate temperature is vital to these processes. With the right temperature control system you can definitely protect your home and business from unnecessary high energy usage. Seek professional guidance on maintaining effective temperature control in homes and businesses. Automate your life in an efficient and cost-effective way.